The hunt for the next breakout player is a never-ending quest for fantasy players. 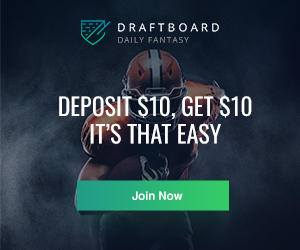 Identifying and acquiring even one of those players can pay huge dividends throughout the course of a single-season league and even more so in dynasty and keeper leagues. Unfortunately, this quest is shared by all fantasy players, so the window of opportunity to get these players on your fantasy teams is small. That being said, there are always methods to get an edge. Some players who are primed to break out are easier to spot than others. The easiest are those who follow a steady path of performing well in the minors, then get a few seasons of big league experience, and finally put it all together as they hit their prime years. These are the biggest breakout targets for fantasy players. However, if you dig a little deeper, you can find potential breakouts that fly under the radar. 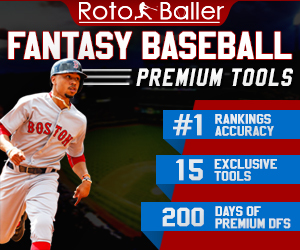 In this article, we will take a look at three hitters (who all happen to be outfielders) who are set to break out earlier than their prime, giving you the jump on them over your fantasy competitors. These hitters are all between 23 and 25 years old and either do not yet have a full season of big league experience under their belts or have had little big league experience. These are some bats that your opponents may not be targeting as breakouts that you can take advantage of. The first player on this list is one that has a similar hit tool and plate discipline to his teammate and fantasy great, Joey Votto. Cincinnati Reds outfielder Jesse Winker has shown flashes of greatness over his two seasons in the Majors but has yet to put together a full season, getting a late call-up in 2017, suffering a shoulder injury in 2018, and constantly battling for playing time. He may have been on people’s radar at the beginning of 2018 but slipped away after his injury. Now fully healthy for the first time in a while — Winker has stated that he had been playing with a shoulder injury long before he had surgery — and set to get regular at-bats per manager David Bell, Winker is set to dazzle in what will hopefully be his first full major league season. Let’s first dissect Winker’s hit tool. His 2018 was limited to 334 plate appearances, but in those, he hit .299 with a 14.7% walk rate (17th-highest among hitters with at least 300 PA) and a 1.07 walk-to-strikeout ratio (tied for fourth-best with Joey Votto among hitters with at least 300 PA). These stellar stats check out across Winker’s short track record; he has a .299 batting average, a 13.6% BB%, and a 0.91 BB/K ratio over his 471 career PA. These numbers, coupled with similar minor-league numbers, suggest that Winker has a great eye and an elite ability to get on base. Let’s now take a look at Winker’s batted-ball profile. The one worry about him from a fantasy perspective was that Winker would get on base but not provide any power. However, 2017 and 2018 have quelled those worries; Winker has been able to hit the ball hard (average exit velocity 89.5 MPH) in the air (average launch angle 11.5 degrees) during his time in the major leagues and has 14 home runs to show for it. Plus, with his shoulder at full health, Winker has the potential to generate even more power. Overall, Winker presents a very exciting profile from both a real-life and fantasy perspective. He has the abilities to hit for power and average and to get on base at an elite clip while batting in a potent offense. 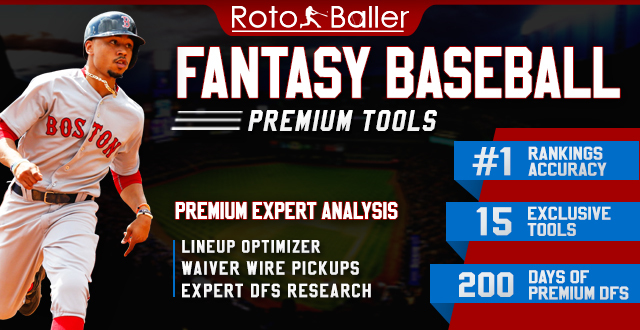 With regular playing time, Winker has the potential to help roto players in four categories and be a fixture in points lineups. 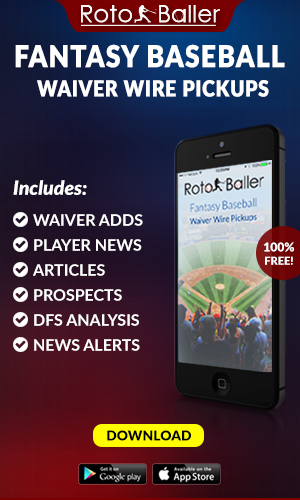 This season is the time to get shares of Winker because he will be a universally-known fantasy name come 2020. The next player is one that potentially could have already been a bigger fantasy name if he had started out with a different team. Oakland Athletics outfielder Ramon Laureano has been a noteworthy prospect for some time now but did not have a chance to show what he could do at the big-league level until now. The 24-year-old started out as a prospect in the Astros’ farm system but was not able to get enough visibility given their abundance of young talent. 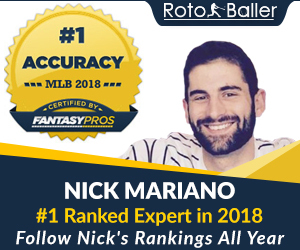 The trade to Oakland offered him a clearer path to the big leagues, and his performance in 2018 should be enough to excite any fantasy owner. In his 48 games with the A’s, Laureano boasted a solid .288/.358/.474 slash line with five HR, 19 RBI, and seven steals (not to mention a great arm in the outfield). Given his base-stealing prowess, his 9.1% walk rate was an encouraging sign that Laureano can get on base in a variety of ways. What’s more, his .388 BABIP was likely bolstered by his speed, so while his BABIP may not be quite that high over the course of a full season, there is no reason to think that he won’t carry a relatively high mark. The most glaring flaw in Laureano’s season was his strikeout rate; 28.4% is not ideal for any player, especially one who benefits from putting the ball in play. That being said, his 28.9% chase rate and his 11.6% swinging-strike rate were middle-of-the-pack amongst hitters with at least 150 PA, so there is a reasonable hope that he can improve given more big league experience. Considering his skill set, Laureano has a chance to be a huge fantasy talent, offering both power and speed. He is slated to start in an exciting young lineup, setting him up to make an impact in his first full season in the big leagues. Our final outfielder needs a bit of help in terms of playing time, but has the pure power to be awarded enough at-bats to break out. San Diego Padres outfielder Franmil Reyes made a splash in his first experience in The Show, posting a .280/.340/.498 slash line with 16 HR in just 285 PA. The 23-year-old will have to earn playing time in a crowded outfield with Wil Myers, Manuel Margot, and Hunter Renfroe. However, based on recent reporting, Reyes is likely to be a lineup regular in right field. If so, he will be a must-own in fantasy leagues. Reyes presents all the makings of a pure power hitter. His 92.3 MPH average exit velocity was 14th-highest amongst hitters, and his 29.6% HR/FB ratio was third-highest amongst hitters with at least 250 PA. His 28.1% strikeout rate is high but forgivable for a power hitter, especially given his respectable 8.4% walk rate. Reyes has posted strong power numbers with lower strikeout rates throughout his minor league career, so based on his past experience combined with his initial major league production, it seems that Reyes is primed to break out as a fantasy powerhouse in 2019. The Padres have revamped their lineup and Reyes could play a huge part of their success batting in the middle of it. Believing In Matt Boyd - Is A Breakout Season Approaching?